Nexcon 3 will be held on 2nd and 3rd April 2016 at SMX Convention Center Manila (Mall of Asia Grounds), Pasay City, Metro Manila, Philippines. The event proper runs from 10:00 AM to 8:00 PM on both days. The NexCon general pass is P350 per day and may be purchased through SM Tickets. As the ultimate celebration of all things science fiction and fantasy in Manila, there are plenty of reasons to go — and here are five of the best! 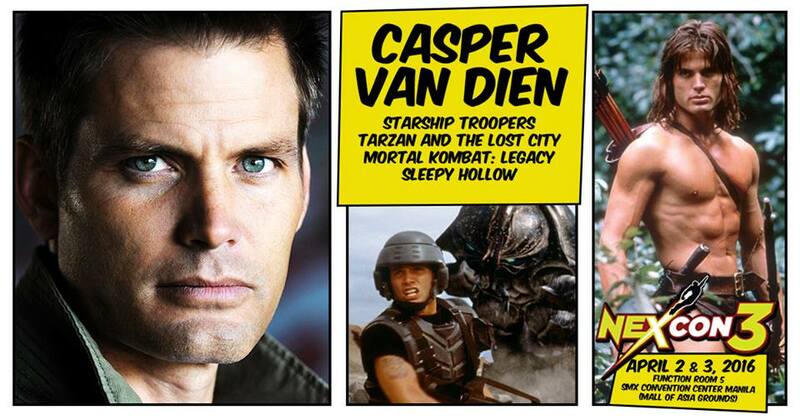 Always wanted to meet Casper Van Dien of Starship Troopers and Sleepy hollow fame? Eager to hear about what’s in store for the 2016 reboot of local fantasy series Encantadia? Ever thought about starting a YouTube channel about your hobbies but have no idea where to start? Then the Nexcon 3 Panels have everything in store for you, and more! Nexcon 3 features not not, not two, but three cosplay competitions! For cosplayers with a taste for the limelight, Cosplay Rumble is the event for you! If you prefer to strut your stuff in the halls, then Cosplay masquerade is just perfect! 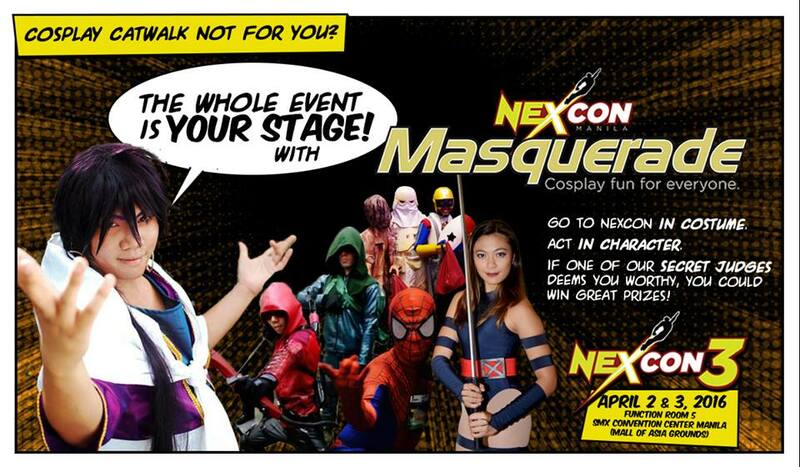 If cosplay shoots are more your speed, the Nexcon’s cosplay photo contest Take Cover is just the thing! Fan artists, doujinshi circles, fan merchandise creators, vinyl toy designers, and everybody else in between! Here’s your chance to show the world how much you love your favorite anime, manga, comics, books, toys, collectibles, games, TV series, and films! Nexcon 3 Fan Fair offers everyone a venue to express their creativity as well as connect with fellow fans of anime, manga, comics, books, toys, collectibles, games, TV series, and films. Capture the fun and hilarity of that infamous SDCC Agent Carter versus Agents of Shield Dubsmash battle with Nexcon’s very own Lip Sync Kombat! To join, simply upload a video of yourself cosplaying while lip synching to your favorite song! 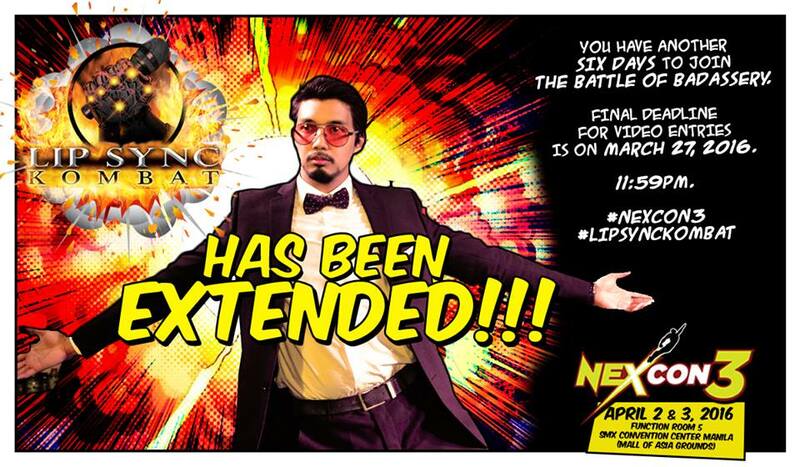 Tag @NexCon; and include the hashtags ‪#‎NexCon3‬ and #LipSyncKombat for a chance to qualify fr the grand finals and really own the stage! Prizes await the best Kombatants! 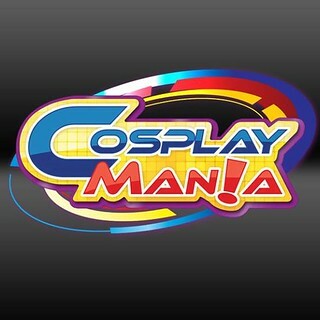 Established in 2006, Cosplay.Ph is the premiere website and online community for Cosplay afficionados in the Philippines. 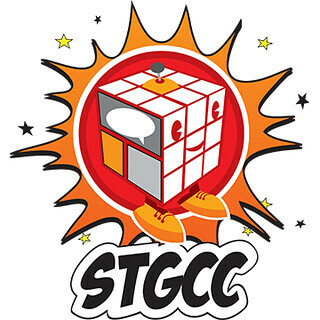 Based in Makati City, the company has spearheaded some of the biggest cosplay events in the country, such as competitions, conventions and workshops. magnetic-rose.net is an Official Media Partner of Nexcon 3.